"Fake news" is the reason Alexander Hamilton—George Washington's Treasury Secretary and the leading voice of the Federalists—never became president. And, though he may not rate a musical, you can thank the infamous journalist James Callender for it. A renowned drunkard and scalawag, in 1796 Callender was paid by the Treasury Secretary's chief rival—Washington's Secretary of State and the leading voice of the Republicans, Thomas Jefferson—to see to it Hamilton would never become president. Callender achieved Jefferson's goal by publishing a juicy book detailing two Hamiltonian indiscretions: the first, an adulterous affair between Hamilton and a 23-year-old married woman, Maria Reynolds; and the second, payments of blackmail by Hamilton to Mrs. Reynold's husband (who had colluded with his wife to entrap Hamilton in the affair). At first, Hamilton's fans cried "Fake news!" But the Treasury Secretary decided he could exonerate himself by admitting, in writing, to both deeds. 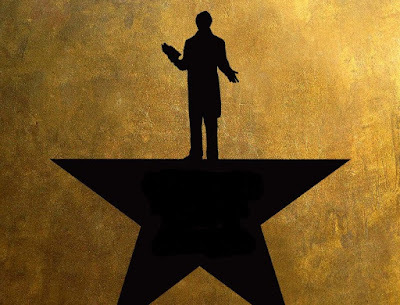 The American public never forgave him; and so he's only the subject of a musical, not the second or third POTUS. But the story has an ironic second chapter: Callender turned around and attacked his sponsor, Jefferson. Fined and imprisoned in 1800 for defaming the then-sitting President John Adams—he had called Adams a hideous hermaphrodite—Callender wrote to Jefferson asking for his help. But Jefferson, elected to the presidency a month after Callender's trial, betrayed the journalist. Although he gave him a pardon, Jefferson cut all ties. A president, after all, shouldn't associate with a drunken scandalmonger. First, he published documents proving he'd colluded with Jefferson to defame both Hamilton and Adams; then, he published newspaper stories about "Black Sally," the slave he claimed was the president's mistress—and the mother of his many illegitimate children. Callender's stories went viral; but they won him no new sponsor. He was deemed too reckless to be trusted by anyone, including Jefferson's enemies. He died in July 1803, when, in a drunken stupor, he fell into the James River at Richmond and drowned. “It was the happy privilege of an American that he may prattle and print in what way he pleases, and without anyone to make him afraid,” Callender once wrote. When it came to fake news, he was fearless.